Luxurious Holiday Rental Accommodation and Views Galore this Lake District Lodge has it All !! Located in Troutbeck Valley, near to Lake Windermere, this Lake District lodge offers the ultimate self-catering holiday rental accommodation in beautiful surroundings. This Lake District lodge boasts a superior fell-side, elevated position that is not overlooked and offers both privacy and unobstructed 180° views of Troutbeck Valley. Purpose built to a very high standard and privately owned this Lake District holiday lodge can comfortably accommodate up to four guests in one double bedroom with en suite bathroom, and one twin bedroom with a family bathroom. Limefitt Park has ample facilities for the visitor. With a traditional English pub serving local ales and beers and meals in the restaurant area. The onsite shop for all your basics and a large adventure playground, river pool and pony-trekking for the children. Limefitt Park is also well located for those who may want to take advantage of the excellent outdoor activities in the Lake District. Climbing, fell walking and mountain biking are all popular activities in the local area. 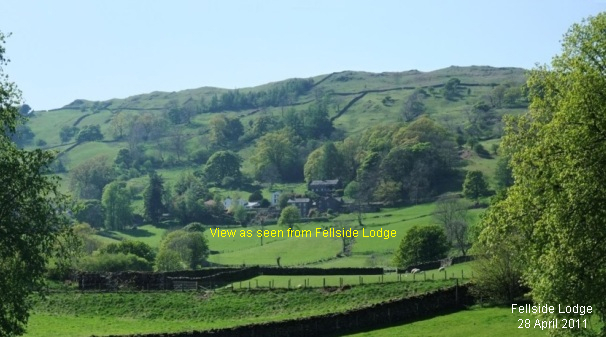 We do hope you enjoy your stay in the Lake District and you choose Fellside Lodge as your holiday accommodation.